When you’re in business, you have to find a way to differentiate yourself from the competition if you want to succeed. That’s exactly what the Ukranian and Russian team behind the uCoz website builder did when they launched uKit specifically for existing business owners and start-ups. I have to say, it makes a refreshing change from the more generic, catch-all style platforms out there. 1) Simple to use and laser-focused on business owners. 3) Your site will work on mobile devices with no additional effort required. 4) Sell products from your website or allow clients to schedule appointments online. 1) Appointment scheduling could be a little simpler to set up. 2) A personalized email address will cost you extra (fairly standard). Lee’s Recommendation: If you’re creating a website for your small business and require a relatively easy site builder with great looking, industry-specific templates, then take advantage of uKits free trial to see if it’s a good fit. 8. 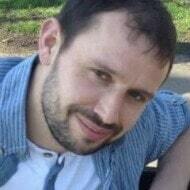 How Much is uKit Going To Cost? I can honestly say I found uKit a pleasure to use from start to finish. They’ve gone through a lot of trouble to make the whole experience as painless as possible from the very beginning. Choose an in initial design (template) for your site and bingo, you’re away. I enjoyed the fact that I didn’t feel the need to plow through hours of tutorials before I felt confident enough to get stuck in. That’s because everything’s laid out within easy reach and for the most part, I found it to be pretty self-explanatory. Yeah, I know what you’re thinking, “That’s easy for you to say as you spend countless hours creating websites”. And you’d be right, but even as a novice, you should be able to figure out most things through trial and error and even if you can’t, uKit has a knowledge base of in-depth tutorials that will walk you through things step-by-step. You edit your website by clicking on a particular area of the page where you’ll be met with options to customize your text and images. In the menu on the left-hand side, you’ll also find a host of “widgets” than can be simply dragged over and dropped onto your page to add functionality to your website. What you see in the editor at any given time is exactly how you’re site will look when finished in true “What You See Is What You get Style”. **Note: At the time of writing, it’s only possible to create your website from a PC or laptop and not from a mobile device. You name your industry and I’ll be willing to bet there’s a template to match. You’ll find designs for finance, restaurants, and construction, to education, medical care, and landscaping and just about everything in between. No messing around trying to fit your business into a generic template here! All of the designs look and feel very modern and are pre-populated with industry-specific content to help you hit the ground running. Sidenote: I should point out that you’ll need to edit this content to suit your own business but it’s a great help when used as a guide. Whilst the templates are fairly customizable, you won’t have as much freedom as some other website builders. I know that might sound like a disadvantage but honestly, I think it can be just the opposite. You see, there definitely can be such a thing as too much freedom when it comes to a novice designing a website and boy, I’ve seen some ugly sites in my time! 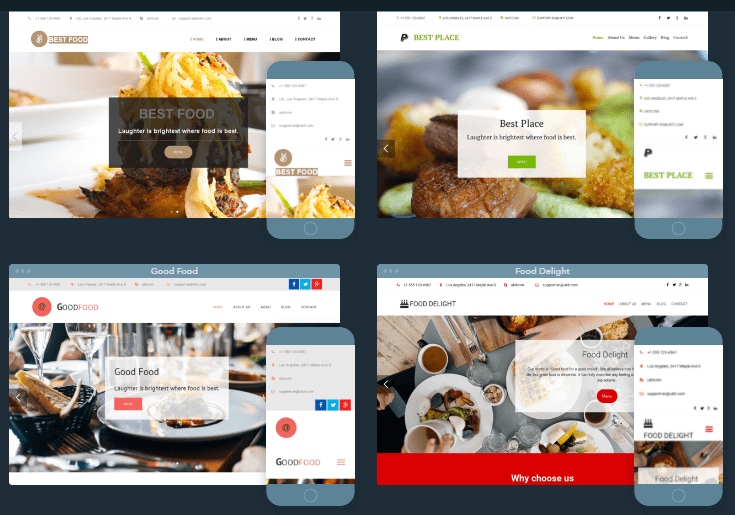 With uKit, you’ll have enough design options to truly make the template your own just as I did with my test site, but not so much that you’ll unknowingly stray too far from a great looking site. 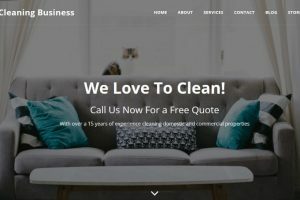 Your brand new business website can, and definitely should be more than just a simple online brochure. It can do a lot of heavy lifting for you by educating potential customers and pre-selling them on exactly what it is you’re offering. To do this, you’ll need to add functionality to your site and uKit understand this oh too well. Online booking forms: Create a form to allow your clients to schedule appointments online. Blog: Educate customers or keep them up to date with news and offers. Contact form: Allow clients to get in touch by filling out a customizable contact form. Google Maps: Show visitors how to find your premises with Google Maps. Get Social: Add social media icons to your site such as Facebook and Twitter allowing people to contact or follow you on these platforms via your website. Video: Add video to your site to educate or welcome your visitors. Personally, I like a platform where I can create my main website and then spend a little time adjusting the mobile version separately. Yes, I know it’s more work, but mobile visitors are usually busy people and doing this allows you to strip back your site to the bare bones and offer your potential customers only the most important and relevant information. Unfortunately, uKit doesn’t offer this feature and not many website builders do. Having said that, many of the well thought out templates will automatically show your contact details as the first thing people will see when they land on your site. This could be your email address or even better, a clickable phone number which they only have to tap to call you directly from their phone. Not all of uKit’s competitors have put this much thought into mobile as they don’t solely focus on business. Well done uKit! Up until fairly recently, if you wanted to sell products through your website created with uKit, you would have had to integrate a popular third-party store application that goes by the name Ecwid. Whilst you still have that option, uKit has now released their very own in-house solution. After playing around with it for a while, I have to say I’m quite impressed with its simplicity whilst still managing to cover many essential features. 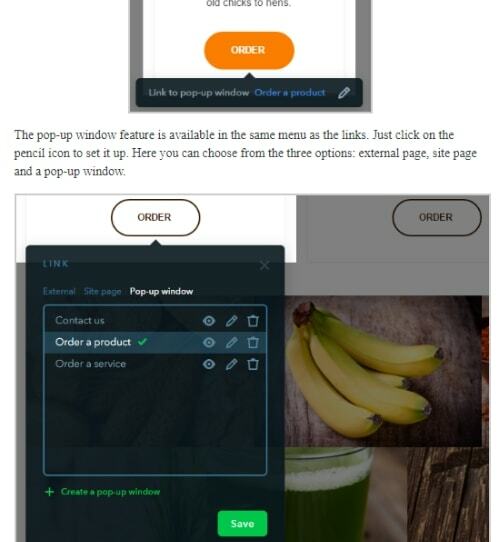 Quickly add a product listing by dragging the widget onto your page. Add product details and even variations of the same product. Create and customize your order form. Set-up payments options including Paypal, credit cards (e-wallet) and offline payments. Check out and order confirmation pages. 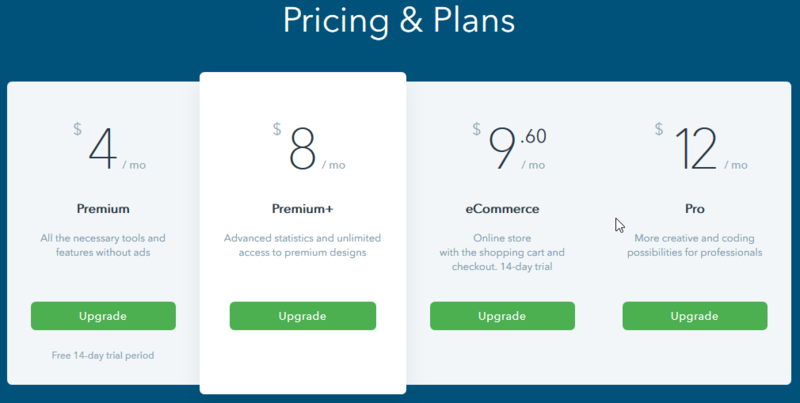 You can access the store functions as part of the eCommerce plan (more on pricing a little further down) and comes with a 14-day free trial. If you need a little more functionality than what uKits’ store offers, you still have the option of using Ecwid but that will come with additional costs. I’ve known a few people over the years who were all fired up to create their own site, go off the idea once they actually gave it a try for various reasons. Should this happen to you, you’ll always have the option of having a uKit professional do it for you for $100. A drop in the ocean of a freelance web designer. You probably won’t need this option but it’s nice to know it’s there. When you begin your trial, you’ll be given a free domain name (web address) that looks a little something like leestestsite.ukit.me. As you can see, it contains uKits branding but once your site’s up and running, you’ll have the option to purchase your own domain name directly inside the platform which will look for professional such as yourbusinesswebsite.com. This will set you back around $13 to $15 per year and is pretty much in line with the industry average. If you already own a domain name, you can bring it over and connect it your site with a premium plan. As with most DIY web builders, you won’t have to worry about hosting as uKit takes care of it for you. They also create regular backups for you in case something goes wrong and you need to restore your site to an earlier version. If you require an e-mail address to match your website name, you’ll need to create it through a third party site such as Google Suite. 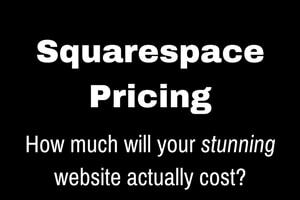 It’ll set you back an extra few dollars per month and although annoying, this is fairly common practice with most website builders these days. uKit offer a 7-day free trial so you can test out their platform to see if it’s right for you and your business. After the 7 days are up, your site will no longer be visible to the public unless you upgrade to a premium plan. However, you will be able to continue to build or edit your website indefinitely after the initial trial period. You can always upgrade your account further down the road if you wish. Premium $4 per month (billed annually) – Access to tools and removal of ads. Premium+ $8 per month (billed annually) – Advanced tools and access to all of their templates. eCommerce $9.60 per month (billed annually) – Ability to sell products from your site (14-day free trial). Pro $12 per month (billed annually) – Advanced features for professionals. See pricing in your own currency here. When starting out, I recommend taking advantage of the free trial and then upgrade to the premium or premium+ plan later on if you’re happy with your masterpiece. If you’re going to sell products, you’ll need the eCommerce plan. I wouldn’t consider the Pro plan unless you’re planning a new career in web design. Training and support are things that I take very seriously when reviewing a website builder. They can be crucial to your success when creating your site. I have to admit, my first impressions of uKits support platform were that it was basic at best but after diving in, I found it to be pretty good. uKit offer users a knowledge base containing written tutorials with images covering just about every aspect of setting up and designing your site. I was a little disappointed not to see video guides as everyone learns differently but I found the step-by-step walkthroughs to be very thorough and easy to understand even for the greenest site builder. Should you run into a problem not covered in the tutorials, you can contact the support team via their simple contact form. I tested out the team myself and was very pleased to receive a fast response which solved my issue. I don’t know about you, but being safe in the knowledge I have help and support when I need it helps me sleep just that little bit easier at night! Overall, uKit is a serious option for small or local business owners looking to create a website to showcase their business online with relative ease. You’ll find just about everything you’ll need to build a great looking, functional website from well designed, mobile-friendly templates, to the ability to allow your customers to schedule appointments or sell products online. However, if you’re only looking to build a completely free website or one for personal use, then uKit may be overkill and a free, more generic website builder such as Weebly may be more suitable. Ready To Take uKit For a Test Drive? Click here to start your 7-day free trial!